Total System Services (TSYS), a leading financial services company in the U.S., has introduced a new NFC-based service for its North American clients called the TSYS NFC Payment Solution. The service will be launched with the help of CIBC, another affluent financial services firm serving North America. The new service is designed to make mobile transactions and account logistics more convenient for businesses. TSYS is one of the latest companies showing support for NFC technology in its work to bring the technology into the world of business. NFC technology is the crux of mobile commerce. The technology turns smart phones and other mobile devices into mobile payment platforms. This allows these devices to be used to make payments for goods and services in a similar manner to credit cards. Mobile commerce has proven to be a popular idea amongst consumers, but the business world has relatively few options when it comes to NFC-based s ervices. TSYS hopes to change that through the introduction of its own service. The NFC Payment Solution allows users to create mobile accounts, identify mobile devices, and generate financial data that will be used with a specific mobile device. The service represents a step forward for TSYS’ “Connected Mobility” campaign, which was announced earlier this year. The campaign aims to provide businesses and financial institutions with a way to better serve consumers who are interested in mobile commerce. Through this campaign, TSYS aims to support the existing NFC-based services that businesses have as well as facilitate the development of new services for consumers. Mobile commerce is proving to be a powerful industry and has shown exceptional growth in its relatively short lifetime. 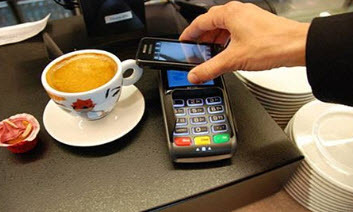 The most significant problem facing the industry, however, is the low availability of NFC-enabled devices. Companies like TSYS have ensured that the mobile commerce infrastructure is prepared to support a large number of consumers, but without NFC-enabled mobile devices, these consumers cannot actually engage in mobile commerce.